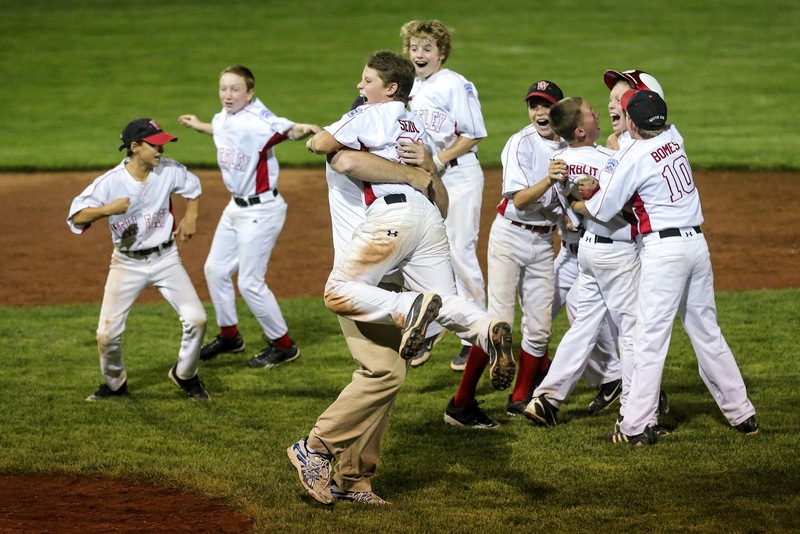 The Little League World Series is in full swing (yes, intended). This doesn't really affect me, except that all my favorite ESPN programming is preempted for the week, under the assumption that I'd rather watch 12-year-olds play baseball. I wouldn't. The LLWS is certainly an interesting phenomenon, though...I played baseball (at a relatively high level) my entire childhood and never even sniffed the World Series. I was never even aware of how a team might qualify for the World Series, much less play in it. For most kids, just getting to the Little League World Series is a dream come true; that's what makes what happened in final World Series qualifying this year noteworthy. A team from Petaluma, CA defeated a team from Nanakuli, Hawaii by appealing a play at third. In short, a Hawaiian runner missed third on his way to score the tying run in the final inning, and was called out after the play, ending the game. Here's the story. Note that the author says that the California squad reached the World Series "in the most controversial of circumstances." This would be incredible hyperbole under normal circumstances (there was no doping, game-throwing, or puberty-reaching, all of which would have been more controversial), but here, it's even more out of place: Petaluma won the game according to the rules! Touching all of the bases is pretty fundamental to baseball, and appeal plays exist for just this sort of circumstance. The "controversy" in this story is largely due to the heartbreaking nature of Nanakuli's loss. They got the hits required to win the game, but lost on a "technicality." Shouldn't the Petaluma coach have forgone the appeal and let the Hawaiians win? Wouldn't that have been the gracious thing to do? One of the great misconceptions about Christianity is that grace involves setting aside, circumventing, or ignoring the rules (the law). Upon hearing this Little League story, a part of my heart thought, "Wouldn't it have been a wonderful example of grace if Petaluma, though knowing about the infraction, conceded the game to Nanakuli anyway?" But...it wouldn't have been. Grace doesn't mean playing the game as though there aren't any rules. Though grace does imply "unmerited favor," it carries with it the assumption of substitution, the game-changing fact that someone else has followed the rules in our stead. Life without the law makes as little sense as a baseball game in which base-touching is optional. The law is never optional, and grace and the Gospel cannot forget about the law. In fact, it is the law that makes us aware of our need for the Gospel (Rom 7:7)! Our lives, and our faith, make sense when we understand that the rules haven't been done away with, they have instead been fulfilled for us (Matthew 5:18). God, we are told, will not be mocked (Gal 6:7)...his law is holy, righteous and good, and must be upheld. All the bases must be touched for the run to count. Thank God, though, that all the bases laid out before us have been touched by the one, Christ Jesus, who is holy, righteous and good, when we cannot be.